Drought is a complex physical and social phenomenon of widespread significance, and despite all the problems droughts have caused, drought has been difficult to define (see background and FAQ). In fact, the most straightforward way to identify a drought is by looking at the impacts such as crop losses, low water levels in lakes and streams, and water shortages, rather than specific definitions of shortfalls in precipitation. 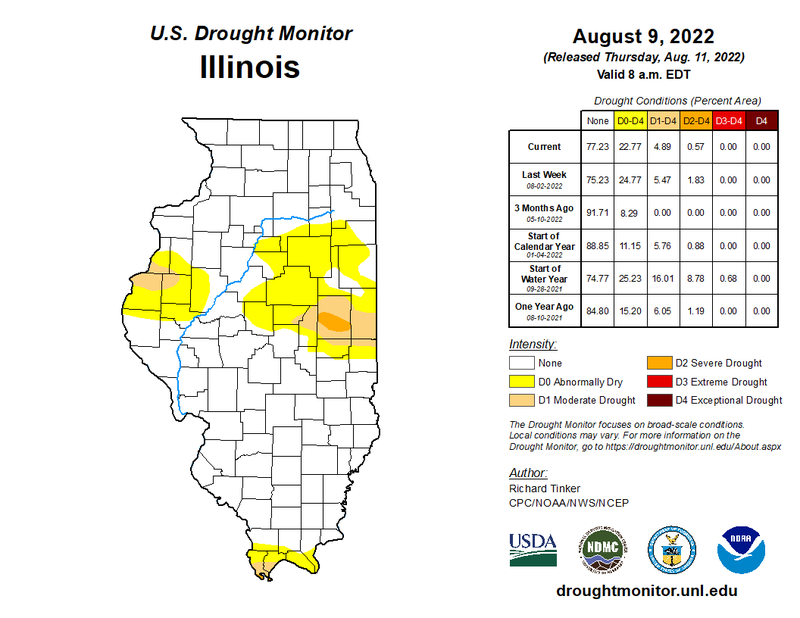 Illinois experienced one of the most severe droughts in recent decades in 2012. 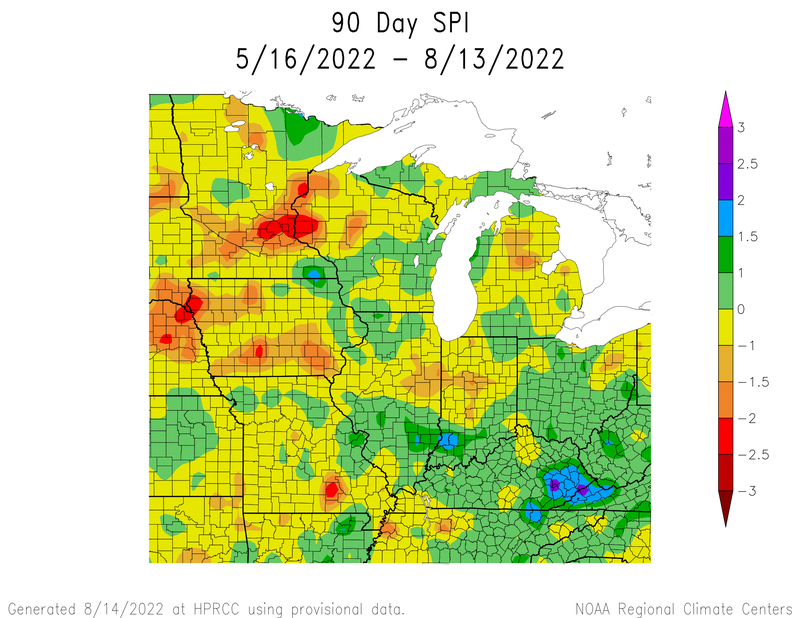 The 2012 drought was covered extensively in the blog at http://climateillinois.wordpress.com . You can find out information specifically on the 2012 drought on the State Water Survey drought page. 2005 Drought in Illinois Ken Kunkel (editor), Illinois State Water Survey IEM 2006-3, 2006 (pdf). The Water Cycle and Water Budgets in Illinois: A Framework for Drought and Water-supply Planning by Derek Winstanley et al., Illinois State Water Survey IEM 2006-02 (pdf). Detecting Drought Conditions in Illinois by Stan Changnon, Illinois State Water Survey Circular 169, 1987 (pdf). The 1988-89 Drought in Illinois: Causes, Dimensions, and Impacts Edited by Peter Lamb, Illinois State Water Survey Research Report 121, 1992.